Tron’s (TRX) Justin Sun is Live on Twitter and Periscope for the launch of the much awaited Testnet network. 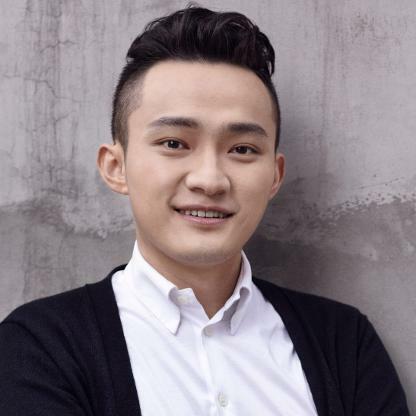 He is doing a good job, despite having a cold, of explaining the goals of The Tron Project, release of Testnet and covering the following topics according to the schedule that was set on the online flyer a few days back. Display of blockchain explorer, wallet and other products. The live stream should be live for another 40 minutes from the moment of writing this. Earlier in the Livestream, Justin was noted as saying that the Tron team is 100 strong with new team members joining in from big companies such as Amazon, Alibaba and Tencent. The fact that they have left this big organizations, means that they believe in the vision of the project. With the Testnet live, Mainnet is only 2 months away and will have the capability of migrating all Tron projects to its blockchain including the original ERC20 tokens in a ratio of 1:1. Also to note is that Tron already has decentralized apps on it platform as can be seen on the project’s website. The most notable is Peiwo which is an audio-based post-95s social software. It has stress free anonymous chat mode and one click speed matching and helps users to realize real and effective communication. A second DApp is Game.com which creates and integrates game content through the blockchain to help digital currencies to provide entertainment service applications and promote rapid development on the blockchain. Kitty Live is another DApp which is a live streaming app similar to Periscope and particularly popular in Asia and the Middle East. Other Decentralized apps that the Tron team is working on include, GIFTO, ODYSSEY, OBIKE, Mico and GSC. The Tron Main-net will be able to cater for more Decentralized apps and hopes to be the choice of many developers for the network is based on Java programming language – which is popular and easier to use – rather than the complex Ethereum Solidity programming language. With all this information, it is possible that TRON is the future of the Internet.